To make the marinade, whisk together the Sriracha chilli sauce, honey, cider vinegar, garlic and oil. Pre heat the Evolve Precision grill to 220ºC and the probe to 75ºC. Butterfly the chicken breast and place in the marinade making sure it is fully coated with the marinade. 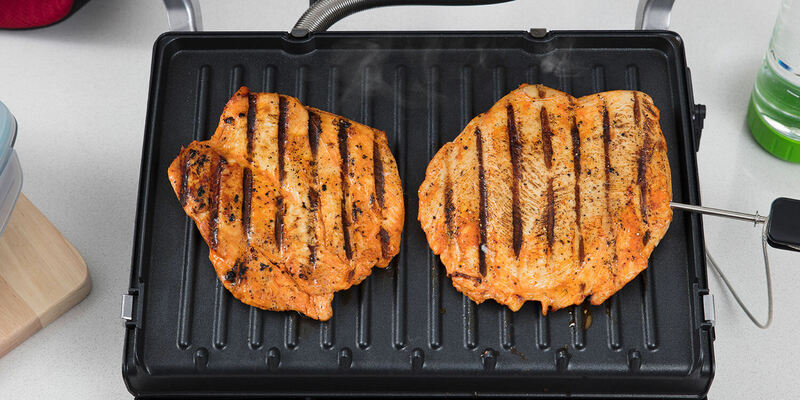 Insert the probe into the centre of the chicken breast and place the chicken on the grill until the probe light turns green and the grill beeps, approximately 8-12 minutes. Serve the chicken along with your favourite green veg. Why not try grilled asparagus.